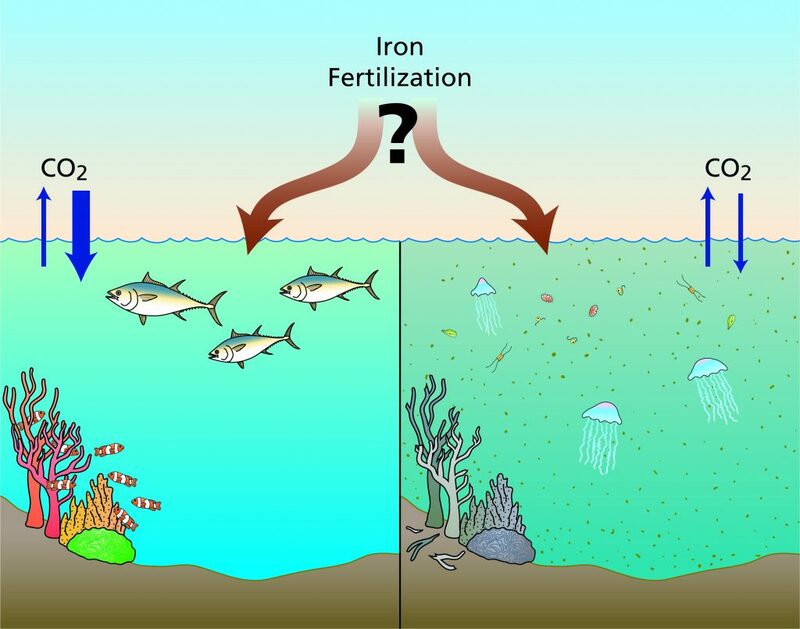 Ocean fertilization is a form of geoengineering (large-scale human actions to deliberately manipulate environmental systems) that involves adding nutrients to the upper (sunlit) layers of the ocean to stimulate phytoplankton activity (photosynthesis) in an attempt to draw down atmospheric CO2 levels. 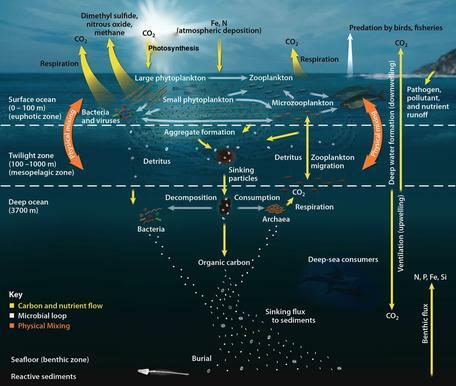 The carbon and nutrient cycles in the ocean are complex (as shown in the model below) and are influenced by physical, biological and chemical processes, which vary across ocean regions and depths (zones). Where does OCB stand on ocean fertilization? Disclaimer: The material posted on this website was compiled by the Ocean Carbon & Biogeochemistry (OCB) Project Office for informational purposes only and does not necessarily reflect the views of the OCB Program or its federal agency sponsors.